Living testament to the versatility of the pedal-steel guitar and a rarity in pop music, Robert Randolph adroitly addresses the challenge of acting as front man of the Family Band despite mostly having to sit to play, taking command of a show by sheer force of his playing. Whether accompanying others or going on one of his renowned flights into sounds-you-ain’t-never-heard territory, Randolph and the band create music that is compelling, soulful, and supremely energetic. Randolph was introduced to music and the steel guitar while growing up in the Pentecostal House of God church, birthplace of a African-American gospel-music tradition known as Sacred Steel, which in the 1930s provided a platform for celebrated lap-steel players like “Little Willie” Eason and Aubrey Ghent, who used the instrument as a key feature in the worship service. The tradition holds true today, driven by current acts including The Campbell Brothers, A.J. Ghent (Aubrey’s son), and The Lee Boys. In the ’50s, Ted Beard and Lorenzo Harrison introduced the pedal steel to their House of God congregations, paving the way for guys like Calvin Cook, Ted Beard, and others who inspired Randolph not only with their skill, but with the way they adapted the sound of their instrument. Randolph, whose parents serve as a deacon and a minister in the House of God, is firmly rooted in the tradition, but has also set himself apart by taking the form secular and broadening its appeal to fans of jam-band music, rock, and blues. Per the tradition in the Church, Randolph and an early iteration of his Family Band traveled extensively, performing for thousands of people from the Carolinas to Michigan and Ohio to upstate New York. We recently spoke with Randolph to learn more about him, the new disc, and what is truly a family band – Robert’s sister, Lenesha on vocals, his cousin, Marcus Randolph on drums, another cousin, Danyel Morgan (bass, vocals), and Brett Haas (guitar, keys). Was steel guitar your first instrument? Well, I started on drums, but when I was 14 or 15, I started getting up to the steel. In the Church, steel is the main thing – you’re the big star if you’re the steel player! Who in the Church actually taught you to play? Well, two older guys from Detroit spent time with me – Calvin Cook and Ted Beard. They taught me basic things, but really, you had to learn on your own because it’s not like you actually have a music teacher. I’d just listen to cassette tapes of church services where they played; I’d sit for hours trying to emulate those guys, copying the sound, the feel – everything. Yeah, I listened to guys like Earl Klugh to see what I could do to be a little different. One day in 1997, a cousin gave me Stevie Ray Vaughan’s Greatest Hits, and from that day until now, not more than two days go by that I don’t listen to Stevie Ray. 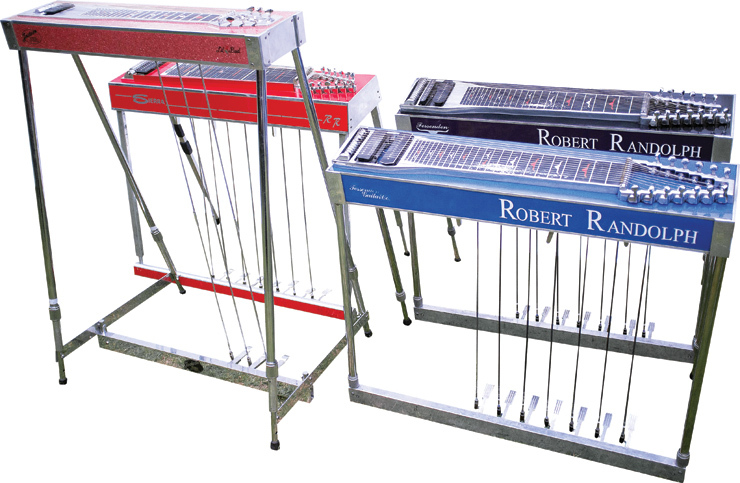 Robert Randolph’s stage pedal steels, including the stand-up model he designed. What about his playing grabbed your attention? He’s just so freakin’ soulful, man! And precise. He’s got everything – fast licks, blues licks, with a rock-and-roll sound and mentality. There’s a respect in what he sings and plays, and it sounds so big. After I started listening to him, I’d get into arguments with [other players]. I’d be like, “Man, Stevie Ray’s better than Hendrix!” (laughs) They’d be like, “What’s wrong with you?” And to this day, I get into arguments about it, but I learned to understand that Hendrix is the originator of that style! But, playing in the Church, we couldn’t noodle around or experiment too much – we had to connect with a more-spiritual style of playing, and that’s where I see Stevie Ray’s thing. That’s how we were taught to play in the Church – notes and licks, be precise, and make a connection. The notes swell and sort of go into another galaxy (laughs); in church, that would be the spiritual galaxy. Was there any particular goal or objective while making the new record? Well, we’ve gone back to what we were originally doing – making music, coming up with ideas, and mixing influences and so forth. It’s very upbeat, energetic, positive, with great funk, great guitar licks. We have the collaboration with Carlos Santana… It’s a bit of everything. I grew up mixing influences while keeping my own background, heritage, and tradition – positive, upbeat, and inspiring music – but also, it feels very rock-and-roll and you want to dance. You and the band mix it up, stylistically. Do you ever find yourself staving off the perception that the pedal steel is limited? Let me tell you something, it’s definitely not limiting. I can do whatever the hell I want to do! It surprises other people, and actually surprises me every now and then, all the things I can do with it, rhythmically! And the great part is I haven’t made the best music or the best Robert Randolph record, or played my best stuff yet. We just finished this album and already, I’m like, “I should have recorded this” or “I should have written a song with this in it.” We’ve been making so much music that I have, probably, 12 songs we could have put on this record. So it won’t be three years before we make another one. Screw that! Your original songs cover a lot of ground. Were they trying to get you to do something more mainstream? Yeah, I think so. It’s funny, both of them feature Carlos Santana! I also think they’ll dig “Amped Up,” which has that energy in it. 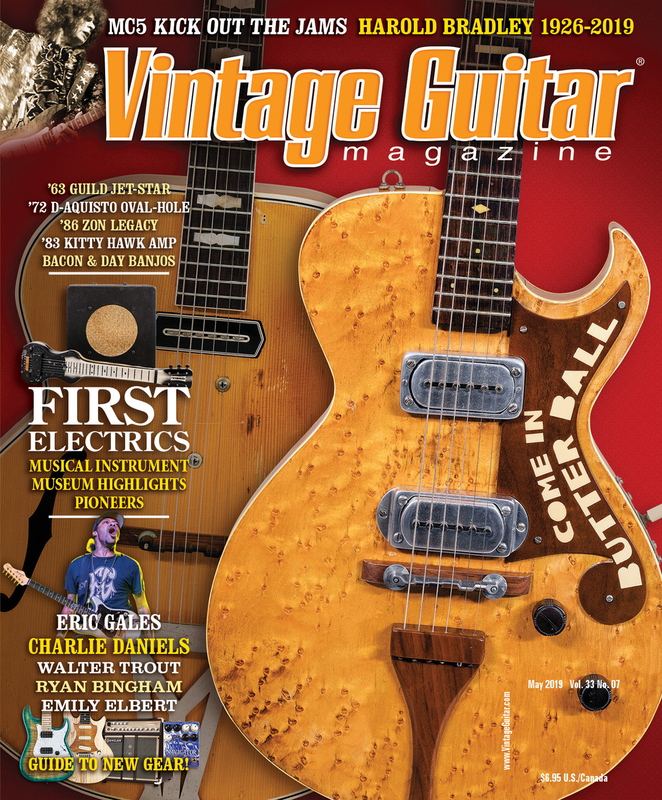 But “Blackie Joe” and “Brand New Whale” have the guitar – me and Carlos smacking each other in the face. It’s got the slide licks, especially “Blackie Joe,” where you’ve got the power chords, you’ve got everything in there! Often, you let other members of the band drive the proverbial bus. “Born Again” starts with you, but relies on Danyel’s bass line to get rolling. Yeah, and sometimes Danyel does rhythm and bass parts at the same time. He’s from the Church, as well, and a lot of times when he played at services, there was no rhythm-guitar player, so he had to learn how to carry rhythm and bass. That’s his style. In the studio, we’ll just get into something where the rhythm guitar ends up being there just for color. Derived from the hollowbody Spanish-style “resonator” and lap-steel guitars used to help popularize Hawaiian music in the U.S. in the 1910s through the ’30s, the pedal steel greatly expanded the sound of the “slide” style. The steel guitar (a term broadly applied to resonator and lap instruments) was inherently limited by the fact its strings could not be independently tuned/fretted on the fly. To address musical realities like harmonies, chord voicings, and melodic “flexibility,” steel players had to either tune between songs (thus bringing a halt to the show and potentially annoying an audience!) or equip themselves with several instruments tuned in various ways. 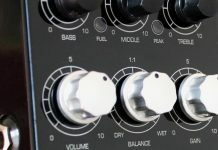 The initial adaptation to address the issue was the simple addition of a second, third, and sometimes fourth set of strings. But, as Hawaiian music became popular by the late 1910s, players and tinkerers began to attach devices to their instruments that allowed for quick-and-easy tuning changes. In the late ’30s, Carvin, Magnatone, Dickerson, and other lap-steel builders began to offer instruments with hand-operated levers that manipulated a cam which raised the pitch of specific strings. Additionally, Tim Miller, a musicologist whose dissertation research at the University of North Carolina centered on the pedal steel, cites a patent granted in 1938 to Anthony P. Freeman, of San Francisco, for a lap steel mounted on a stand and manipulated using two foot pedals. 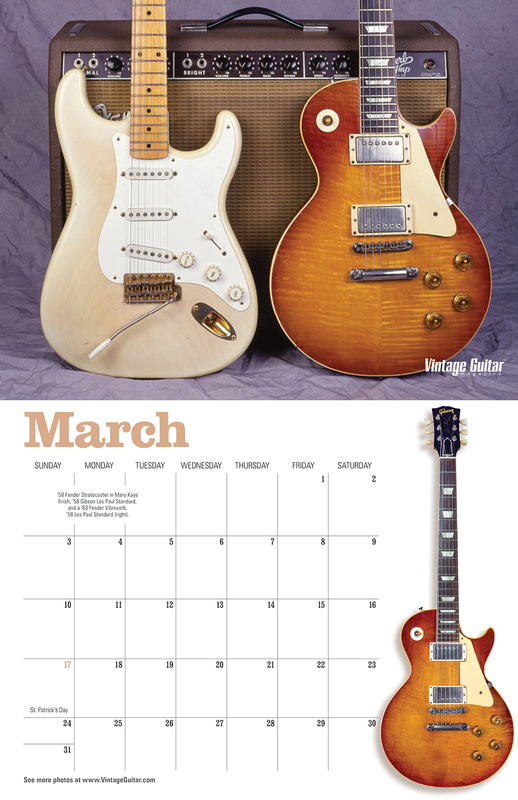 About the same time, two machinists at Gibson – John Moore and Wilbur Marker – began working with well-known bandleader/lap-steel jazzer (and Gibson endorser) Alvino Rey to devise a similar system that used six foot-operated pedals for what would become the company’s new “console” steel, dubbed the Electraharp. Its 1941 patent says the instrument was intended to allow the player to create no fewer than 15 chords. Rey used the instrument to emulate the sound of big-band horns – a far cry from the way a lap steel was used in Hawaiian music and even from how the pedal steel rose to prominence in country music. Nearly simultaneous to Rey’s efforts at Gibson, Jay Harlin, steel player in a Hawaiian-orchestra family act called The Harlin Brothers, created a device that attached to the strings of a lap steel then connected (via cables) to a set of foot-operated pedals that were manipulated to change the instrument’s tuning. In 1949, Harlin was granted a patent on the Multi-Kord, a pedal steel guitar that employed the device. 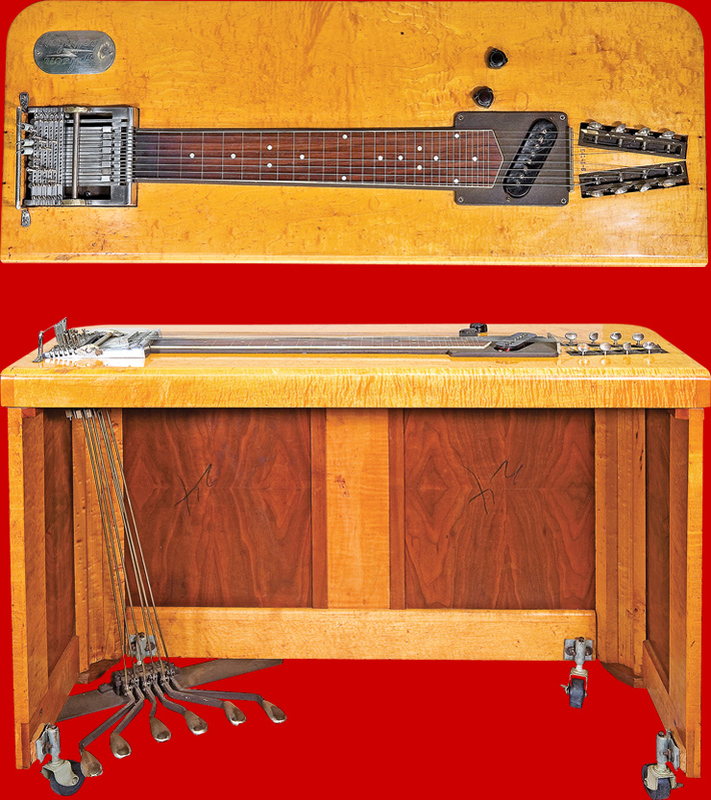 By the late ’40s, another machinist, Paul Bigsby, had taken on a second career as luthier (he is largely credited with the first solidbody Spanish-style guitar) and was building pedal steel guitars; Speedy West raised the Bigsby pedal steel’s profile significantly in his work with Jimmy Bryant. In 1952, a builder named Zane Beck incorporated knee levers that likewise altered the pitch of the strings of the steel guitars used by Ray Noren. The next evolutionary step involved Bud Isaacs, who in ’53 bought a Bigsby console steel with two pedals that allowed him to change its tuning from open E9 to A6. He used it to great effect on the 1954 country mega-hit “Slowly,” by Webb Pierce. Gibson Electraharp: Bill Willroth, Sr., courtesy of the National Music Museum, University of South Dakota. 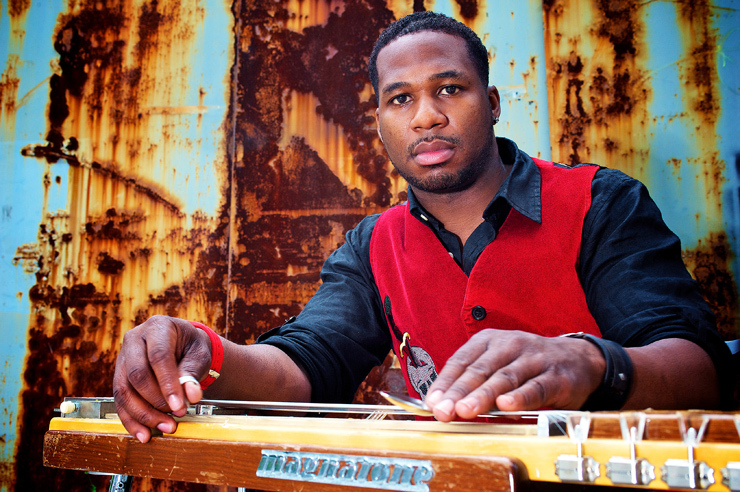 The pedal steel’s strong association with country hasn’t kept it from being used in jazz and other musical forms of popular music, including the gospel- and R&B-infused Sacred Steel of Robert Randolph, who offered a basic primer on the function of his chosen instrument. An innovative player, Randolph is, like so many mechanically inclined steelers before him, a tinkerer at heart, and he has designed a steel that allows him to stand while playing. How did you decide to cover “Love Rollercoaster” and “Good Lovin’”? I was looking at a list of songs and I came across the Red Hot Chili Peppers’ version of “Love Rollercoaster” and I said, “Let’s see if we can do a better version.” (laughs) And it came out pretty good. Danyel’s bumping away and he’s got his fills in there. “Good Lovin’” I also love, because of the major chords. To me, it’s almost like a gospel thing, something we would hear in church. Which pedal steel do you play the most? 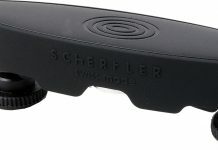 There’s two companies that make great-sounding pedal steels that work great, and I go back and forth because one is better for sustain, the other is better for chords and sounds better when I’m doing rhythmic stuff. One company is called Mullen [Steel Guitars], the other is Jackson [Steel Guitar Company]. On the album, I play the rhythm on a lot of stuff – I’m a Fender Tele guy, man. There’s nothin’ like a Tele! You can get a clean, rhythmic, sort of twangy thing happening. 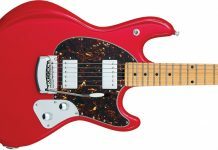 Every time I pick one up, I want to play Sly and the Family Stone rhythm guitar! 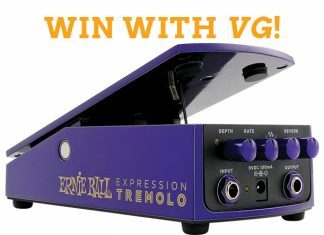 Do you play both pedal steels onstage? At a live show, I play three – those two, and I invented a six-string stand-up pedal steel that I’ve been playing for about a year. 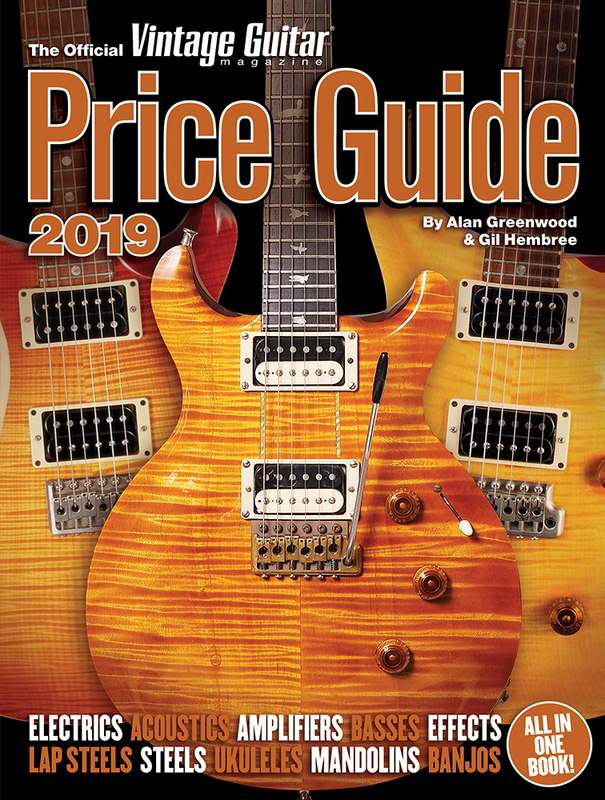 Because you have 10 or 12 strings – I have 13 – people go, “What you do with all those strings?” With the stand-up version, you get a six-string tuning, and with the pedals you can get the major, you can get the minor, you can get your seventh. 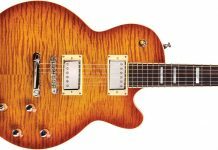 The folks at Jackson Steel Guitars are making them, and a lot of players want one – Rich Robinson from the Black Crowes, Derek Trucks. Which amp do you use? I actually do a combination of Fender Super Reverb and a Vibrasonic because of the dynamics of the pedal-steel – it gets so low, but you need that midrange for the slide. I’ve been working with Fender on a custom pedal-steel amp because there hasn’t been one made for the style of playing that I do. I’ve been told by everybody from Carlos Santana to Kenny Wayne Shepherd to Eric Clapton, “You’ve got to build your own rig.” They’ve seen me go through 80 different amps because I need a specific sound. It’s all in the midrange, but I have to have high-mid, low-mid, and it can’t honk too much. Is that why you’re not playing a traditional pedal-steel amp? That, and they have all this compression, so you can’t really dig in, you know? 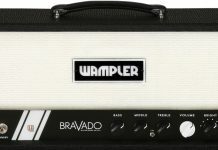 Is the Fender based on one of their big, clean amps? 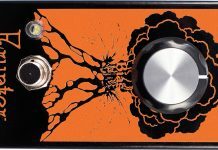 It’s based on the Vibraverb, the Vibrasonic, and it will have a couple of pull functions we’re borrowing from the Peavey Special 130. It’s something like the Dumble guys do; I need mids and I need that creamy stuff… but I ain’t paying no 40 grand for a Dumble, man (laughs)! What kind of speakers will it use? Peavey’s Black Widow. People go, “What?” But it’s funny, on the Hendrix tour there was every guitar, every amp, 50 players with custom rigs, and I went through this with the Los Lobos guys, Jonny Lang, Kenny Wayne Shepherd, Steve Vai, Joe Satriani… After I played through the Black Widow, they’d go, “Okay, I see what you’re saying…” Then I’d plug into a Celestion cab or some other speaker and they’d go, “Whoa!” With the Black Widow, I get a rounder sound that works great for my instrument. It gets the whole “thing” happening. You’re known for using effects pedals. What’s in your signal chain? I have this pedal called the Waterfall, which is a cool reverb/chorus. It’s made by Jam Pedals, a small company out of Canada. I’ve got 10 of their pedals and they all sound great. Well, we were doing the Experience Hendrix tour, and they brought all the effects for the 30 or so players to check out. They’re analog and fit the sound of my pedal steels perfectly. They make the best freakin’ phaser ever, man! I’ve spray-painted a lot of my pedalboard stuff black, so I forget the names… I don’t want people stealing my sounds – you know, the guitar people who stand in the front row and take pictures of your rig! What kind of wah are you using? So, if you could jam with Stevie Ray, which songs would you want to play? Ahhhhh… (pauses)…. I would want to play “Lenny.” That song is just a soulful frickin’ thing, and me and him could go at it, slidin’ and playing around chords. And “Texas Flood.” Those two. Because Stevie kills “Texas Flood.” It’s like, “Man, I need to be in there with him!” (laughs), doing all the moaning stuff while he’s pickin’. How would you arrange it? …do a call-and-respond with his vocal? Yeah. With his vocal and with his guitar, because he’s doing that whole mixture of the Albert King thing and his own original stuff, so I’d just be doin’ the low-midrange, moaning along with him. 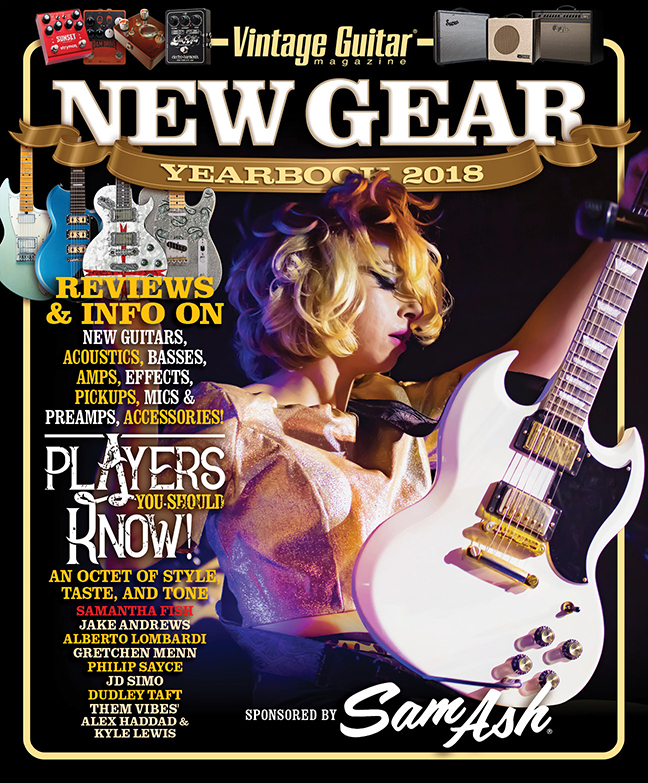 Speaking of, what role does a “regular” guitar play in your band? Well, in the Sacred Steel tradition, the rhythm guitar is played almost like reggae. Without a rhythm player doing the [makes a chop-chord sound], the music is just not complete. I’m used to that, but because of my rock-and-roll mentality and the way we stretch out, I’ve sort of learned to not really need it. But still, I sometimes like to hear a rhythm guitar so I can slide around those notes and have that space. You’ve jammed with a lot of big names. What are some of your highlight memories? Well, jammin’ at the Beacon Theater with the Allman Brothers, playing Madison Square Garden and Royal Albert Hall with Eric Clapton. Both of those were just great. And any time I get with Carlos Santana, it’s just magic. Things happen, especially live. And that’s one of the things people will hear more because there are a few songs Carlos and I did in the studio that are just mind-blowing – me and him just going at it. We’ll release those as B sides or album exclusives in the months to come.